Yesterday I showed you how to make an easy pico de gallo. Today I’m introducing you to her cousin, easy guacamole. What I love about this recipe is the fact you basically make pico de gallo and add some to mashed ripened avocados. I told you it was easy! It’s like getting 2-for-1. And the guacamole is good…. really good. 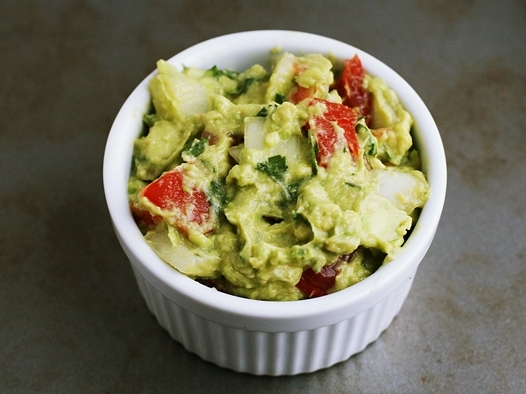 True story – I’ve been making guacamole like this for years. I typically would make a batch of pico de gallo and use some of it to make guacamole. I thought I was being clever and resourceful. After all, I hadn’t seen or heard of anyone making guacamole like this. But then, I had noticed in The Pioneer Woman Cooks Cookbook, that Ree Drummond (aka The Pioneer Woman) also makes guacamole like this. Drats! I guess I’m not as ingenious as I thought! In a small bowl, mash the ripe avocado with the back of the spoon or spatula until somewhat creamy yet chunky. Add pico de gallo and continue to mix it in until just combined. Serve with tortilla chips or your favorite Mexican dish. Enjoy! This is how we eat it in Texas. You can also do it with salsa. i love avocado, its really good for your skin, can help lengthen your skin, you don’t need any facial wrinkle cream. However, if it takes time to put avocado on your face, you can eat it. The more you eat, the better your blood, and your skin will get better inside out. Oh, thanks for this recipe! I love guacamole but I’ve never found in the shop the one that tastes real. Now I will be able to make it myself and I sure hope it’ll be much better than the one I bought. I never picture 7-layer dip as being so cute! I make guacamole like that too! Here’s another thing I discovered that I just love…you know how slippery it can be to mash an avocado–well, don’t cut, peel and mash it. Just grab it whole and mangle it with your two hands! It’s fun and can be a shocking little stunt to pull off in front of someone who hasn’t seen it done. 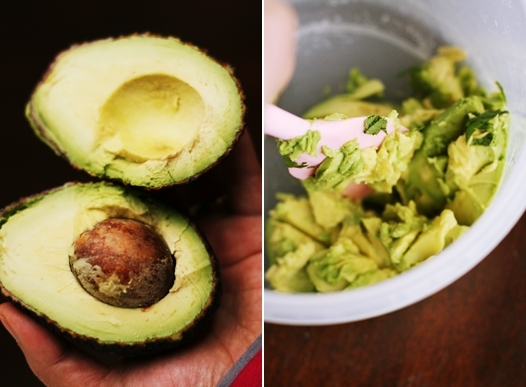 After a bit of squeezing you can squirt the mashed-in-skin avocado into a bowl through the broken skin. Faster than mashing! 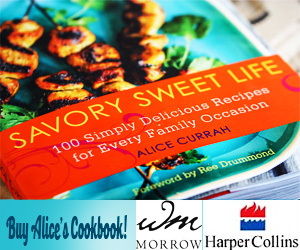 You have such a great site and you make such beautiful food, and are beautiful yourself–I wouldn’t be surprised to see you hosting your own cooking show soon! P.S. Your autumn cake would have been #1 if I had been a judge! I can’t get enough of guacamole. It’s one of those things I hated as a kid, but love as an adult. I should admit that the type I knew as a kid was that green blob they throw on taco at fast food restaurants though. Ha, ha! Of course, it is much better when homemade. Oh yum…thank you for sharing. I am generally a purist when it comes to guacamole, just a little lime juice, salt and pepper, and avocado, but recipe looks so colorful, I will have to give it a try! Yum! My friend has told me his mother makes gauc with pomegranate seeds. I’m dying to try. That is easy =D. Sounds good to me! YUM! I think if I had to pick a favorite veggie, it would be avocado (of course, I pick the veggie with fat… It’s healthy fat, though!). 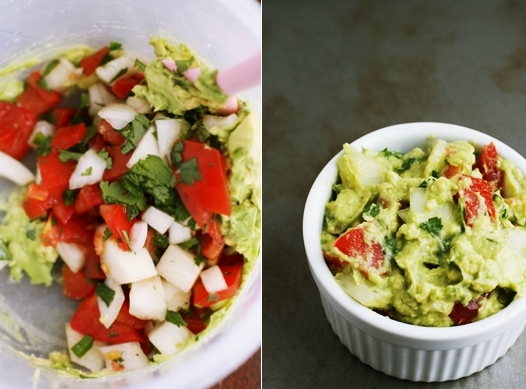 Your guacamole looks amazing. I love guacamole, I make it all the time! What a great way to have two dips with basically one recipe. Perfect. Have two haas avocados and was looking for a guacamole recipe. thanks! Love guac more than anything. Wish we had some ripe avocados around here! Nice post, avocados are a super source of veggie protein. I don’t put sour cream or mayo either, but I put a little salsa in there or fresh tomato and onion. Fresh lemon juice and a little olive oil. Darn it. I just ate my last avocado today. I need to restock. It’s high time I make me some guac.